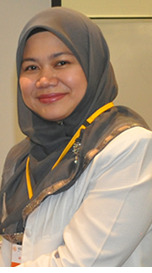 Senior Lecturer, Department of Computer Science, Faculty of Computer Science and Information Technology, University of Putra Malaysia, Malaysia. Research: Text Mining, Semantics Technology, Soft Computing, Information Fusion, Fuzzy Text Learning, Knowledge Management, Agent-based System, Artificial Intelligence. 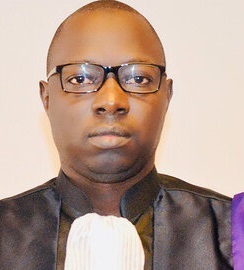 Associate Professor, Faculty of Applied Sciences and Technology, Department of Computer Science, Gaston Berger University, Saint-Louis, Senegal. Research: Parallel and Distributed Systems, Peer-to-Peer Systems, Grid and Cloud Computing, Wireless Ad Hoc and Sensor Networks in particular. Senior Lecturer, Department of Communication Technology and Network Faculty of Computer Science and Information Technology University Putra Malaysia, Selangor, Malaysia. Research: Network Management, Grid Computing, Distributed Database. Cloud computing. Professor, Saint John faculty, University of New Brunswick, Canada. Research: Software engineering, soft computing Numerical algorithms, modeling & simulation. Professor,Electrical and Computer Engineering, ENIS, University of Sfax, Tunisia. Research: Robotics, multi-robot, Autonomous robots, Complex and Distributed Systems, Parallel and Distributed Architecture, Intelligence Command, Material, Embedded Systems. Senior Lecturer, Faculty of Computer Science and Information Systems, Universiti Teknologi Malaysia (UTM), Johor Bahru, Malaysia. Research: Wireless Sensor Networks, Routing Algorithms, Traffic Engineering, Graph Theory and Optimization. 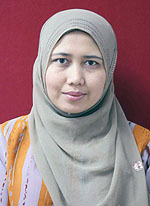 Coordinator of Master of Computer Science Program, Faculty of Computer & Mathematical Sciences, Univerisiti Teknologi MARA, Shah Alam, Malaysia. Research: Computer Literacy, Network Protocol, Database Management Systems, Telecommunication, Wireless & Mobile Computing. Associate Professor, Department of Computer Science & Engineering/Information Technology and Communication Technology, Jaypee University of Information Technology, Wakanaghat, Solan, India. Research: Cyber Security, Enterprise Integration Applications, Software Testing, Cell Planning, Simulation & Modeling. Research: Mobile Service Architecture in Future Mobile Environments, Distributed Computing, Software Engineering. Research: Fixed point Theory, Non-linear Analysis, Functional analysis. Research: Data Mining, Network Security. Research: Information & Network Security, Web Technology. Associate Professor, Department of Computer Science and Engineering, Disha Institute of Management and Technology Raipur(C.G. ), India. Research: Neural Network, Information and Network Security, Image Processing, Mobile networking, Cryptography. Faculty Member of Firat University, Department of Software Engineering, Turkey. Research: Computer Networks, Information and Network Security, Web Mining, Software Development. Associate Professor, Department of CSE / IT Bhagwan Parshuram Institute of Technology, New Delhi, India. Research: Wireless Sensor Networks, Data Aggregation, Virtualization & Cloud Computing. Assistant Professor, Department of Computer Applications & IT, KCL Institute of Management and Technology, Jalandhar, India. Research: Computer Networks, Network Security, Mobile Communications & Mobile Computing and Grid Computing. Assistant Professor at Computer Science Dep, Irbid National University, Jordan. Research: Network and Information Security, Image Processing, E-Learning. Assistant Professor, Department of Management Information Systems (MIS), CBA, Imam Abdulrahman Bin Faisal University, Dammam, Saudi Arabia. Research: Information/Cyber Security, Big Data, Image Processing.